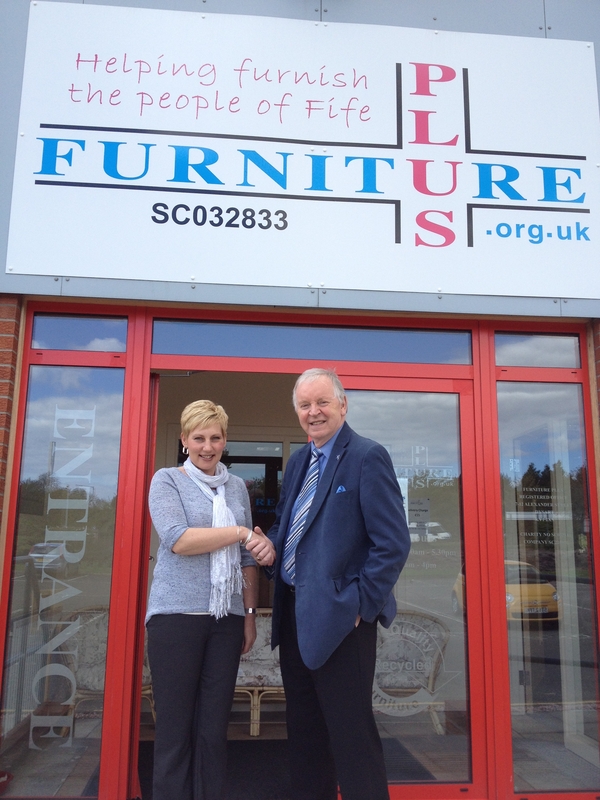 MSP for Dunfermline Bill Walker has congratulated Fife charity Furniture Plus on receiving £114,057 from the Big Lottery Fund’s Support and Connect scheme. The award will enable the charity to expand their service to beneficiaries experiencing furniture poverty but who do not qualify for local authority support. Mr Walker, who enjoyed a tour of the charity’s Dunfermline Pitreavie showroom in May, said: “Furniture Plus offers an invaluable service to Dunfermline and the wider Fife community. They strive to combat poverty by offering quality low-cost furniture to people facing financial hardship. “When I met Gail Jackson and Daniel Rous recently in Pitreavie, I was impressed by the many social and environmental benefits Furniture Plus offers the community. Volunteers have the opportunity to learn new skills through the renovation of donated furniture, and this recycling means furniture is diverted from ending up in landfill sites.